This was my second purchase from 1st Art Gallery and I continue to be thoroughly impressed. 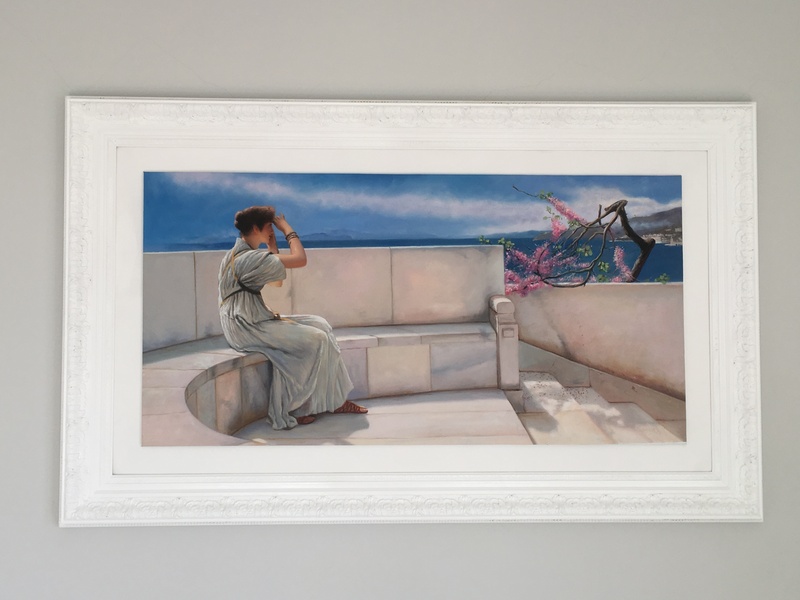 Such a great service and such a quality painting, I would happily refer anyone to 1st Art Gallery who wants a fantastic, professional job done. Thank you! First rate! Such incredible artists! The paintings should cost more. 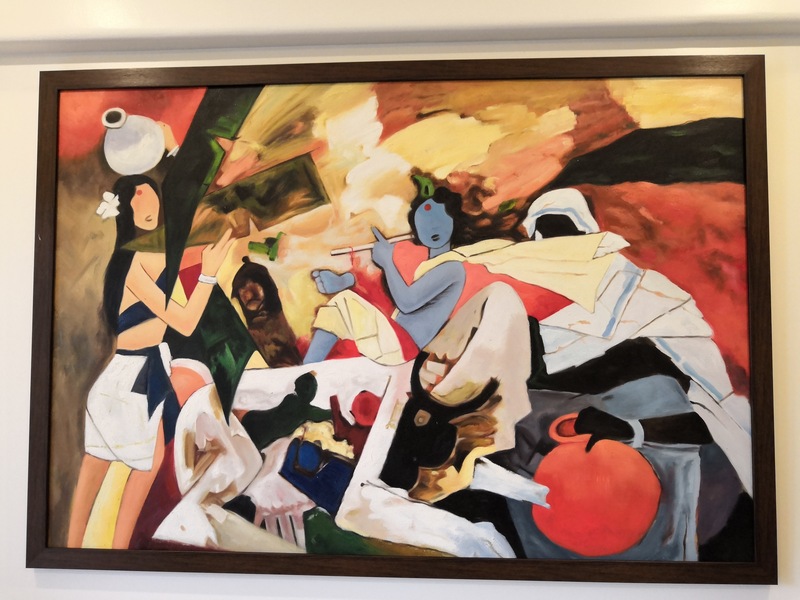 I wanted to have a painting of India’s best known modern artist MF Hussain for a long time and I could not afford to buy one original. Then I stumbled upon 1st art Gallery while surfing the internet. I requested them to reproduce his “Gopala" and I was extremely happy that I did. The delivery was prompt and communication at all stages was very good. 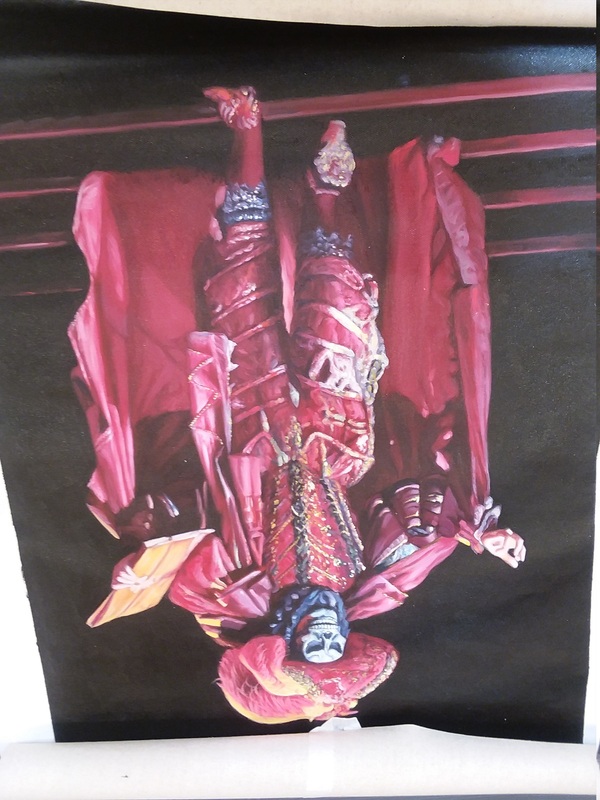 The painting itself is very good quality and I am amazed that they actually reproduce the finest details. 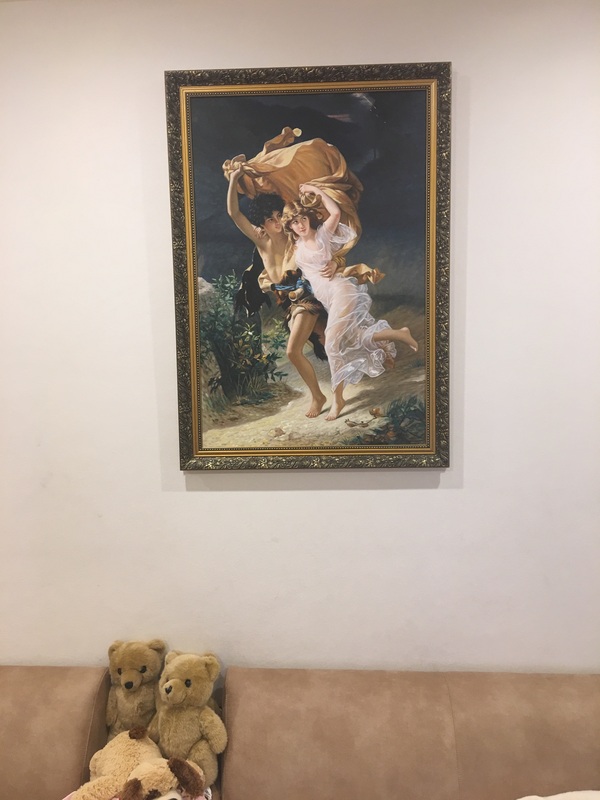 The main advantage of ordering with them is that you can have the exact size that may fit on the wall of your choice and you can choose the painting that matches the colour scheme of your room. 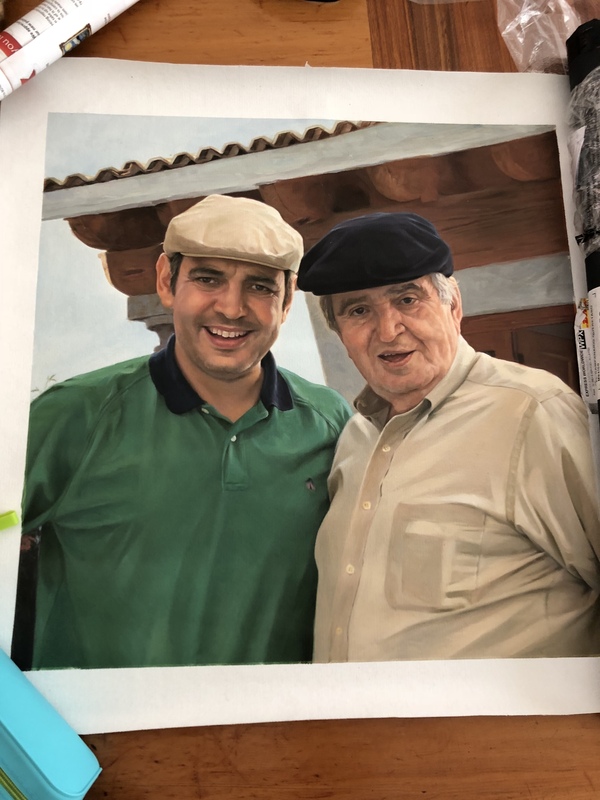 They did not have this particular painting on their website and I sent them a picture and they did a fantastic job. 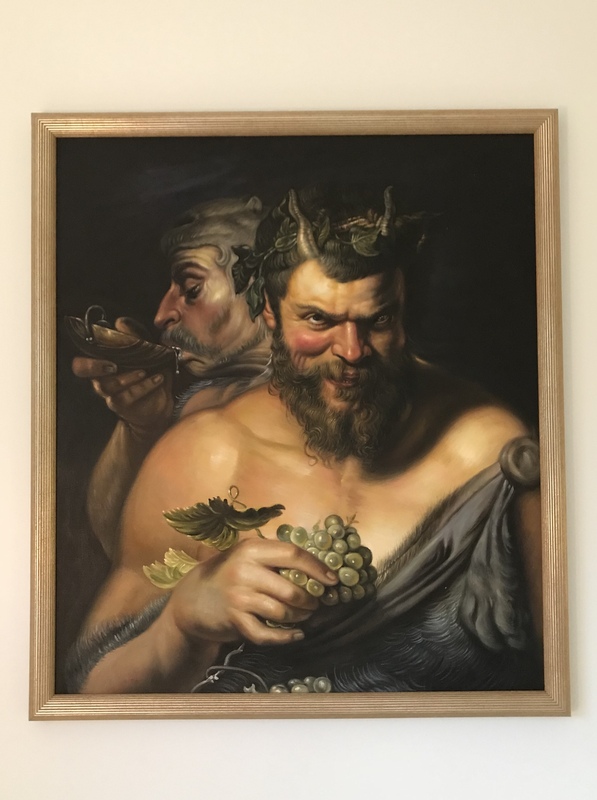 This painting has really livened up my TV room. I will definitely order more from them and I would highly recommend their work for anyone who wants reproductions. Testimonial from William R. Stott, Jr. Outstanding service in all respects. I’m a very satisfied.. 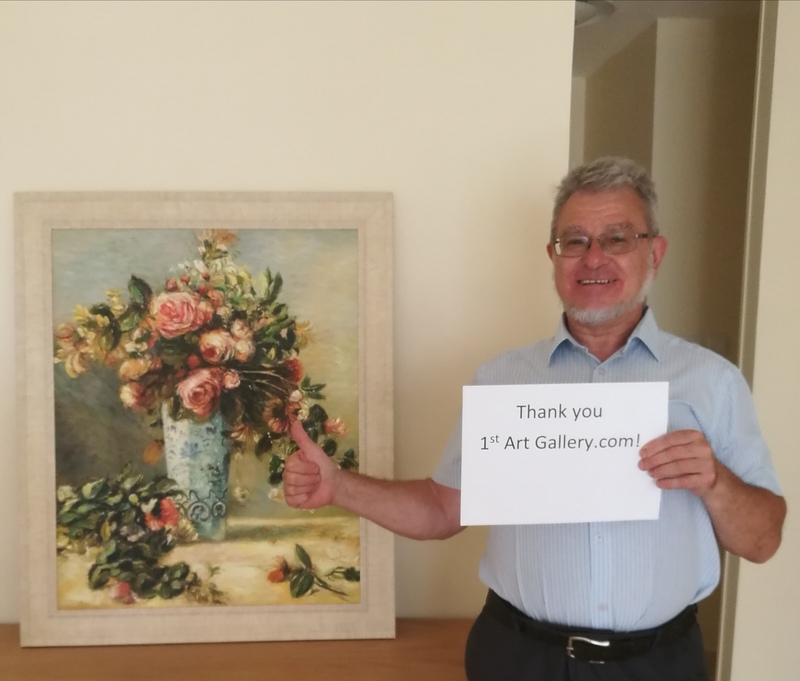 Thank you 1st Art Gallery.com! Perfect, prompt, service. Immaculate image by the artist. 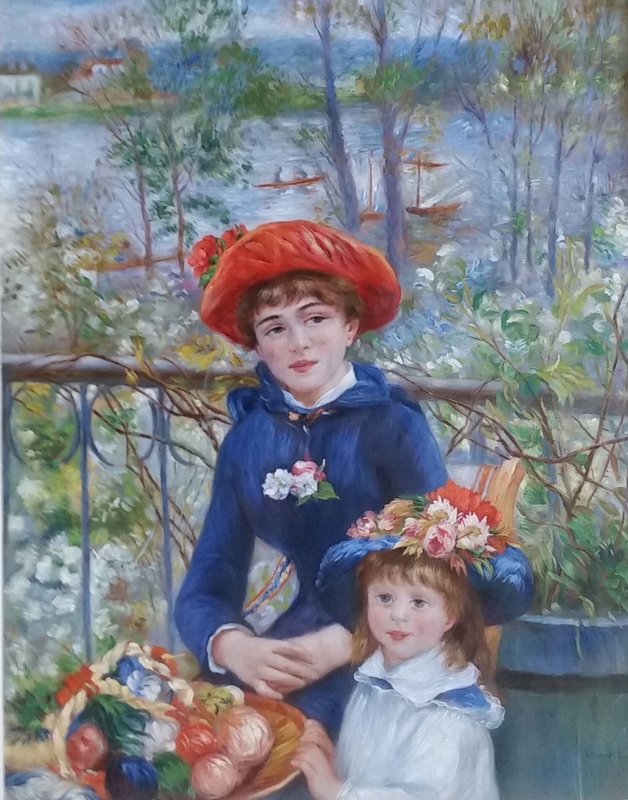 Juts last week, I received my order of Renoir's Two Sisters (on the terrace) and must confess that I am once again over the moon with this reproduction. The brushwork is simply amazing and the way the 1st Art artist has re-created Renoir's languid, flowing style is incredible. Even though delivery was slightly delayed, the communication from 1st Art throughout the process was very thorough with constant updates on delivery schedule.. I am queuing up my next order immediately ! Keep up the great work !!!!! Like the real thing !! Planning on purchasing additional masterpieces. 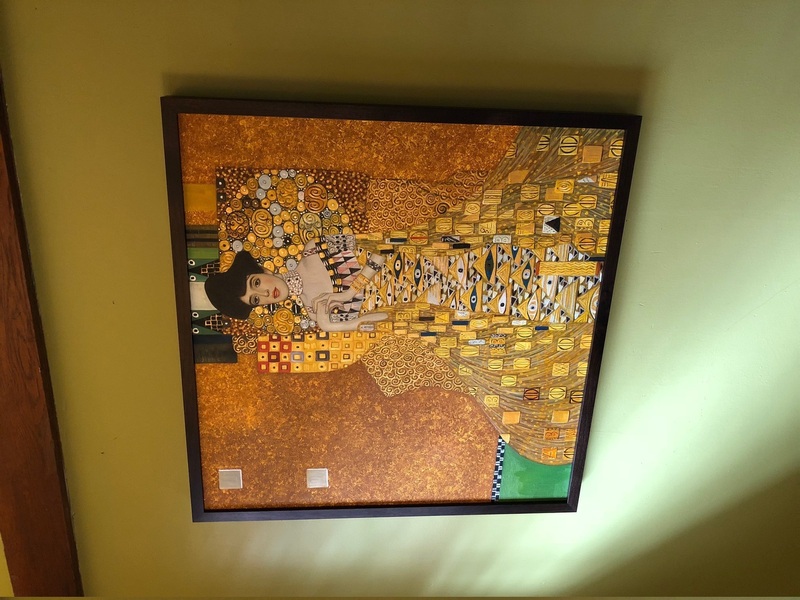 I wanted to buy a reproduction of this Klimt painting and read up on multiple companies who provided this service. The reviews generally led me in the direction of 1st Art Gallery as being a good quality painting. I was still a little hesitant as it was my first time buying from them but after getting the painting I was in awe at how fantastic it looked. The painting quality exceeded every expectation I had. I've only had it on my wall for about 2 weeks but I still find myself walking in to the room and staring at the painting thinking how amazing it is and suddenly 20 minutes has gone by and I'm still staring at it. I will definitely be buying more from them in the future, couldn't recommend them enough! The painting is beautiful.. The artist that Painted it is amazingly talented. Every detail is exact as the original. So pleased I have ordered another painting.. I am very pleased from the 1-st Gallery reproduction of Renoir's painting "Roses and Jasmine in a Delft Vase" and looking forward for another orders. Thank you 1-st Gallery. Michael Mihlin Israel.